Why take ballroom dance lessons? People need more balanced lives. We need more fun, relaxation, and quality time with our significant other. We also need exercise, to learn something new, feel a sense of achievement and to meet new friends. If only there were something out there that provided all of these basic needs. ​Oh wait, there is -- BALLROOM DANCING! Dancing is more than steps and music. It’s a perfect combination of physical activity, social interaction and mental stimulation. 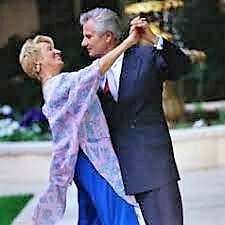 ​Ballroom dancing enhances your life in so many ways and its increased popularity speaks for itself. 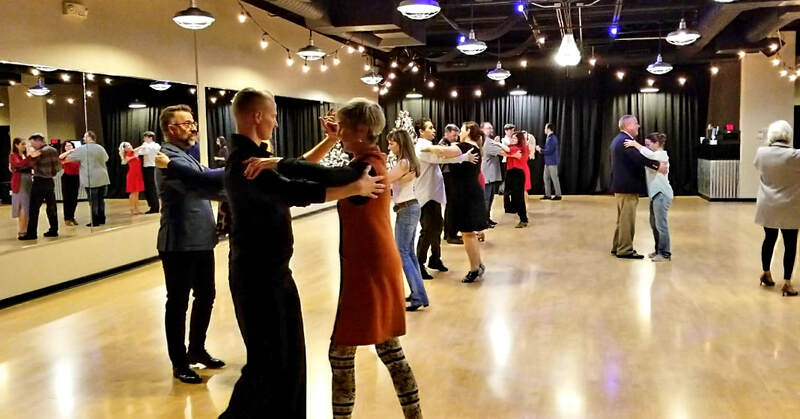 People around the world have discovered that taking at least one ballroom lesson each week has given them most, if not all, of the above mentioned goals. ​What if I don't have a partner? No partner? No problem! Come in and have a professional dance instructor sweep you off your feet. Have fun learning new dance moves, while getting in great shape and have a blast. You can practice with a variety of partners at a group class or practice party. ​Why should couples take dance lessons? If you and your spouse, or significant other, are looking to spend quality time together, ballroom dancing is the perfect activity. It will literally bring you closer together while giving you a hobby you can enjoy the rest of your lives. Gentlemen, ladies love to have a man sweep her off her feet. They tend to overlook it when you step on their toes as long as you're holding them in your arms. ​Is ballroom dancing really exercise? You won't find a better way to get into shape while having the time of your life. Have you seen the dancers on those dance shows? Are you kidding me?!? No amount of airbrushed tan can create that effect. Those six pack abs and buns of steel are real. Plus, they're all smiling. Have you ever seen someone smile while jogging? Ballroom dancing is not only excellent cardio exercise, it also strengthens your core muscles, elongates your body (better posture) and makes you more flexible. ​Do you have lessons designed for weddings? We have special wedding packages that can be customized to fit your needs. We will choreograph your first dance, as well as teach you basic social dancing. ​Some parents of the happy couple also like to prepare for their roles in the reception dances. So, don't forget to ask Mom and Dad if they want to come along. ​What do I wear for my lessons? Wear whatever makes you feel comfortable. It will be difficult to focus and have fun if you aren't comfortable. If your lesson is after work, just wear whatever you wore to work that day. We do recommend that you wear something that allows you to move. Straight or tight skirts may be difficult to dance in, but not impossible. ​The best shoes for men would be a shoe with a leather sole, or something that doesn't have a thick sole. Ladies, make sure your shoes will stay on your foot. Any type of slides, mules or flip-flops will be very difficult to keep on your feet. *These are only suggestions. The main focus is fun, not fashion. However, there's no reason why you can't have both.